With the seedy suburbs of Jerusalem as a backdrop, this gritty comedy depicts two young lowlifes - Avishay, the local pizza boy, and his buddy Rami, a lifelong loafer. Their lives, and those of their friends and neighbors, revolve around two holy grails: cheap weed and The Jerusalem Neighborhoods Cup the local amateur soccer league. As the plot thickens Avishay and Rami become entangled with an irascible soccer coach and with a neighborhood gangster who has a fondness for severed fingers. 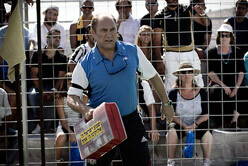 The big soccer match approaches and Rami and Avishay find themselves drawn into a battle of class, cultures, and passions. Perhaps this time they will have to see beyond their own petty predicaments if they want to save their lives - or their fingers. 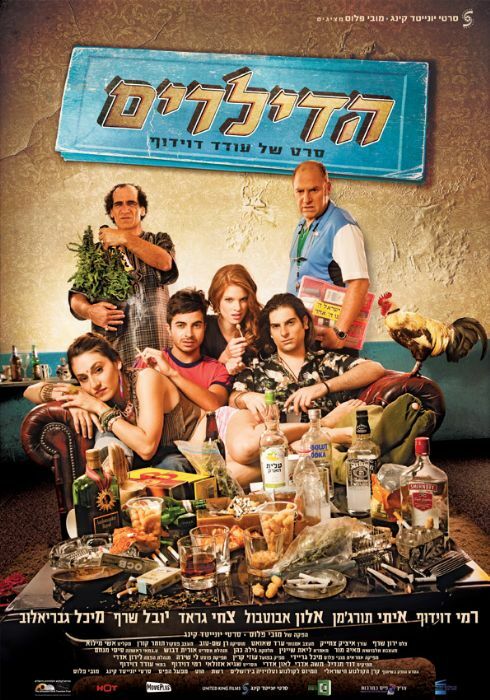 The movie is a humorous look of the colorful, multi cultural, unique and somehow funny Israeli society.